Buy the newest pigment sets with the best sales and promotions. Find cheap offers for pigment sets in our online store. With this set, the modeller gets the four pigment tones that allow to create a variety of dust and dirt effects. With this set, the modeller gets the four pigment tones that allow to create a variety of Rust for any vehicle or scene. A basic set. 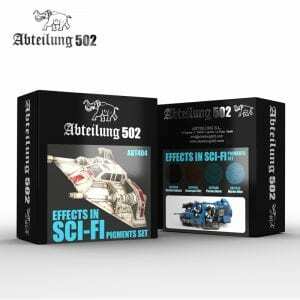 This set offers the modeller the basic pigment colors that will prove essential in adding a realistic finish to any Scifi vehicle, dioramas and vignettes. This set offers the modeller an interesting selection of pigment colors that will prove an special finish for fantasy and metallic parts in any vehicle, or figure. 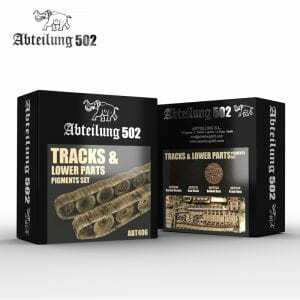 This set contains four basic pigment tones which are extremely useful for almost all tracks and lower parts finishes but also for the terrains. 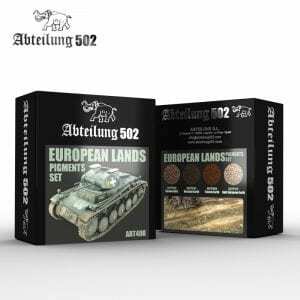 With this set, the modeller gets the four pigment tones that allow to create a variety of eart effects for any vehicle and terrain in Europe. 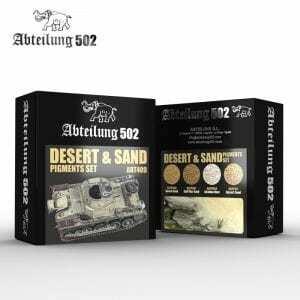 This set contains four pigment tones which are extremely useful for almost all deserts, beaches and arid areas representations over vignetes, dioramas and, of course, vehicles. This set offers the modeller the pigment colors that will prove essential in adding a realistic finish to any train and railroad treatment.